In Italian, Rome spelled backwards is “Amor” – and it is indeed a city known throughout time for love and romance. Choosing to host your destination wedding in Rome is easy when you consider all that the city has to offer to couples seeking somewhere to hold their dream celebrations. Like the passion of the Italian people, Rome is vibrant and dynamic as are its music, art and fashion. History has graced Rome with some of the most well-known and loved architecture in the world, and thus many of the most amazing wedding venues, including ancient basilicas, rustic villas, medieval palaces, walled gardens, modern hotels, panoramic rooftops and more. In fact, some of our favorite wedding venues in Rome are among the most recognizable sites in the world; the kind that many people have always wanted to visit but never had the chance. Your guests will thank you for giving them the best reason ever to travel to Rome to witness your romantic destination wedding. As such an ancient city, our wedding planners in Rome can craft events inspired by practically any era, from Medieval to Baroque to Renaissance, contemporary and beyond. And its continued importance to modern society as the capital of Italy makes Rome a perfect for travelers accustomed to finding easy transportation to, from and around a region, as well as access to five-star accommodations and gourmet cuisine. Weddings in Rome reflect a wide variety of dreams. Peaceful, historic villas can be transformed into sparkling sites for vow exchanges and cozy receptions. Couples with Catholic ties can walk down the aisle of an ancient basilica, or say “I Do” in a church or cathedral. Civic ceremonies are permitted in the city’s “salas” or wedding halls – which are historic sites converted into venues – and symbolic wedding ceremonies in Rome can be held practically anywhere, including in front of some of the most famous attractions like the Roman Forum and Trevi Fountain. The Romans pride themselves on their frescoed walls and gorgeous gardens, which are ideal private outdoor event sites in the spring and summer. There are even splendid medieval palaces just kilometers outside of the city where you can marry like royalty did in the past and celebrities still do today. Imagine an intimate luxury wedding in Rome on the rooftop of a world-class, modern hotel overlooking The Coliseum and The Spanish Steps. 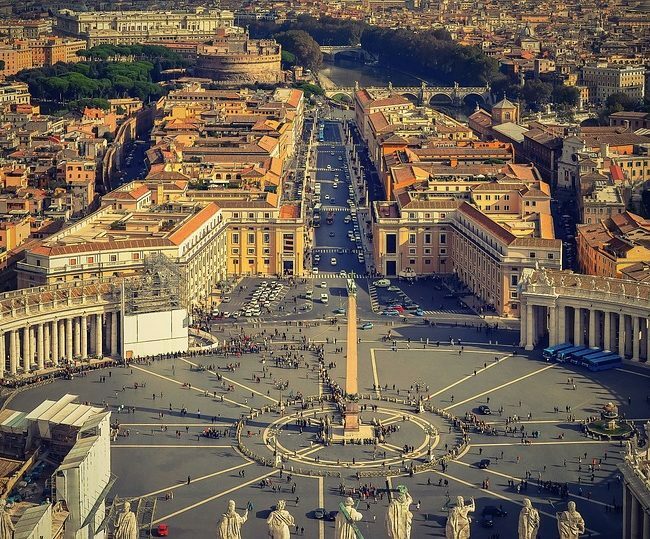 Catch glimpses of Vatican City as your guests gather together and enjoy welcome drinks while enjoying a panoramic view, which could include a quaint piazza or marbled fountain. Between events, your guests can enjoy the city’s nightlife and live entertainment. Piano bars. Jazz clubs, discos and pubs offer great opportunities for your wedding party to gather in your honor for a toast. Your Rome wedding reception could be held with your ceremony, or at one of the city’s famous family-style restaurants. We love to say, “if you can dream it, we can create it”, especially when it comes to designing incredible Rome luxury weddings.